BluStream is the manufacturer of wireless monitoring devices for high-value home items such as instruments, humidors, wine, and gun storage. The Blustream Platform is a complete, configurable software solution that simply integrates cloud-based data analytics and networked sensors into your products and the places where they live. 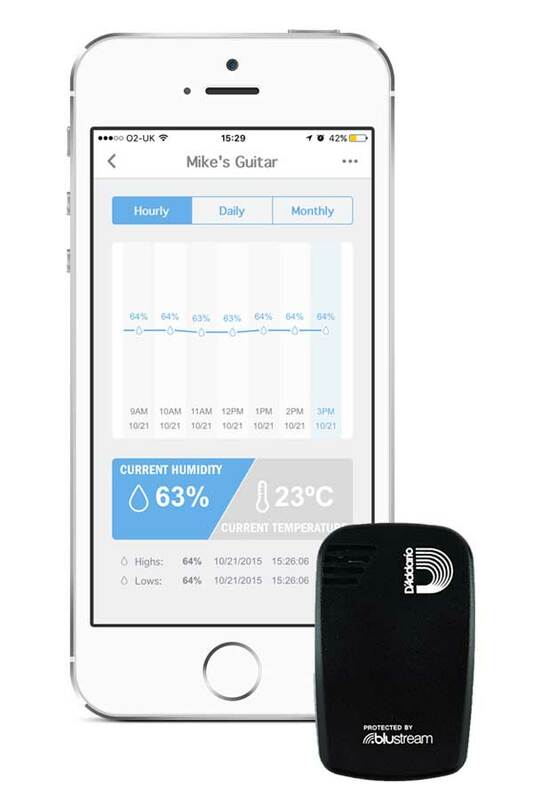 The Blustream sensor constantly monitors and records temperature, humidity and G-Force conditions and streams data to any Bluetooth-connected iOS or Android device and provides notifications when preset limits are exceeded. 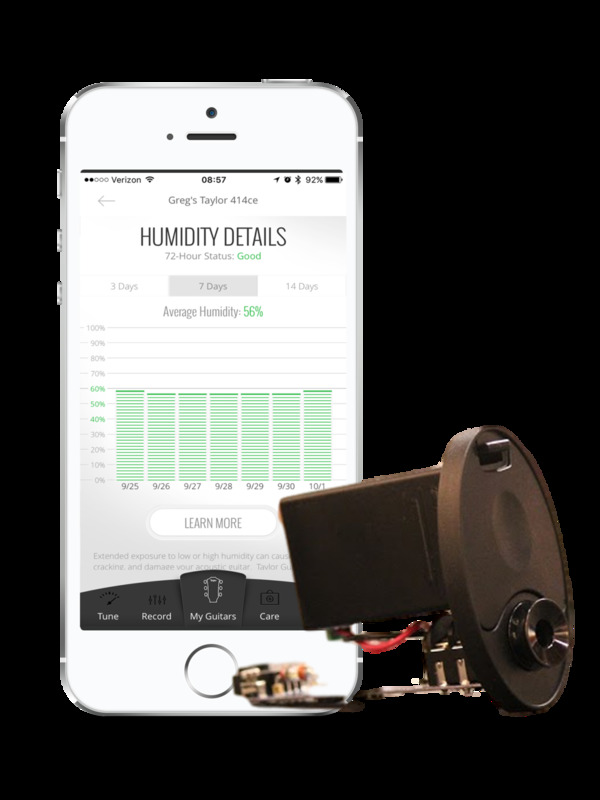 The hardware device stores up to 21 days of hourly temperature, humidity, and activity information without connecting to a smart device. Upon connection, the information is transferred to the user’s smart device and backed up to the Blustream data server for long term storage in the user’s account. Bluefin and the team at BluStream spent 9 months developing, refining, and bringing to market a revolutionary low energy Bluetooth® sensor. With two working prototypes, the team successfully created a crowd-funding campaign through Kickstarter that received orders from over 400 consumers. Our efforts caught the attention of two industry giants – Taylor Guitars and D’Addario who both understood the need for more advanced protection of fine musical instruments. Since then, Blustream has expanded their device to cover other valuable items such as humidors, gun safes, and wine storage. Bluefin’s team of user interface experts designed and developed the physical and digital experience. Bluefin advised BluStream on how to integrate the mobile product requirements into a seamless integrated experience between the device and mobile application. Goals were to maximize product functionality while building an easy to use and robust user experience, at the same time minimizing potential product support issues. Bluefin worked with the customer to bring all the components of the project together into a shipping product. Bluefin provided the final product testing for the team making sure that all the components worked in a seamless fashion to provide the end user with a solid, defect-free experience.